The State University of New York Polytechnic Institute, commonly referred to as SUNY Polytechnic Institute or SUNY Poly, is a public research university with campuses in the town of Marcy in the Utica-Rome metropolitan area and Albany, New York. 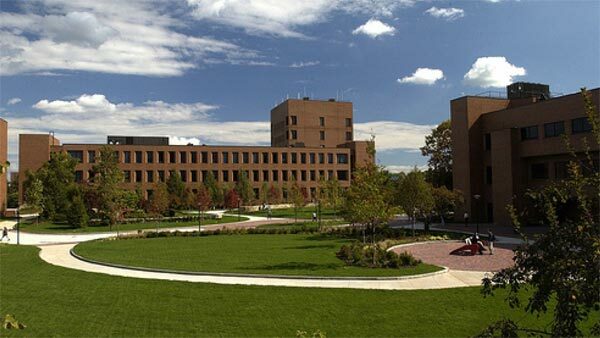 Founded in 1966 using classrooms at a primary school, SUNY Poly is New York’s public polytechnic college. The Marcy campus, formerly the SUNY Institute of Technology, has a Utica, New York mailing address and was established in 1987. The Albany campus was formerly a component of the University at Albany, established in January 2003. SUNY Poly is accredited by the Middle States Association of Colleges and Schools. The university offers over 30 bachelor’s degrees, 15 master’s degrees, and three doctoral degrees within five different colleges. SUNY Poly students come from across the state of New York, throughout the United States, and more than twenty other nations. More than 25,000 alumni enjoy successful careers in a wide range of fields. SUNY Poly’s colleges offer studies in everything from nanoscience to engineering. Business to natural sciences. Nursing to nanoengineering. Mathematics to communication. Social sciences to nanobioscience. Cybersecurity. Nanoeconomics. Humanities. Computer science–and more. These exciting, relevant courses and majors are targeted to enable students to achieve success in growing 21st century career fields. – Excerpt from SUNY Polytechnic Institute’s website. All full-time students are enrolled in the Go Blue insurance plan accredited through the school. Living on-campus: On-campus housing is available on first-come first-served basis for undergraduate students. If interested and for prices, please visit the website. In order to be accepted, students must prove financial resources of $8,000.00 per semester.